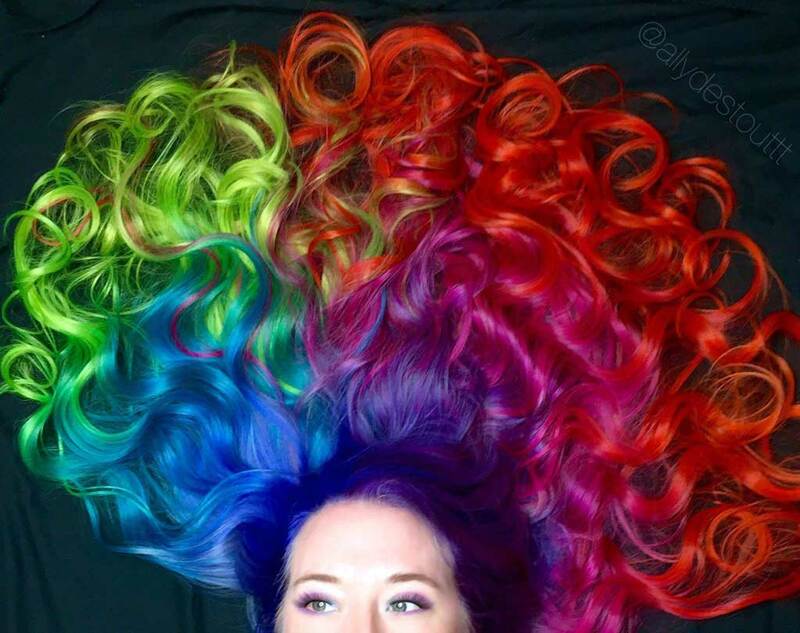 The pros at PRAVANA break some of the hottest looks for summer. 1. Mist dry hair lightly with Super Shape. 2. Begin at the top in a horizontal on-base patte. 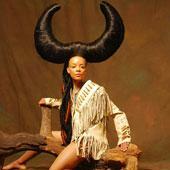 Use a large barrel marcel, curl hair starting at the roots. Work the marcel iron from roots to ends, then clip the curls into place to cool. 3. Continue through the sides and into the back in horizontal, on-base sections, clipping the curls as you go. 4. Spray the set with Super Shape and allow to cool completely. 5. Remove the clips from the curls. 6. Beginning at the fringe, lightly back-comb the base of the hair using a teasing brush. Always begin teasing hair at the base, working your way to the ends. 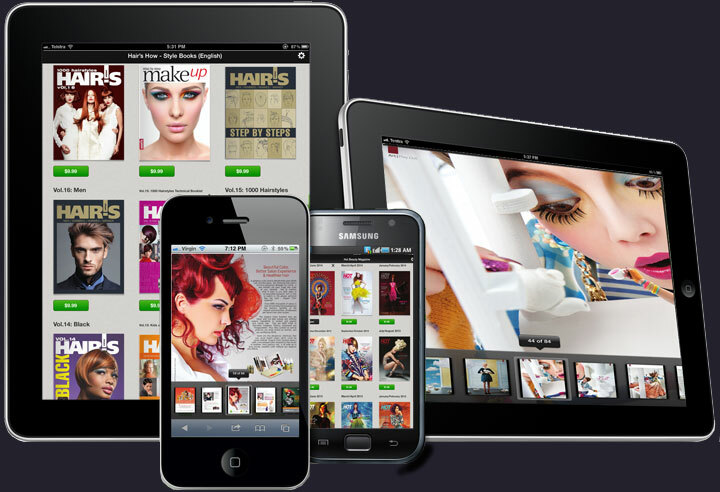 Continue back-combing through the top, from the front hair line to the crown. 7. Mist Super Shape Hair Spray directly to a flat, bristle brush. Smooth out the back-combed portion and base of the set, working lightly through to the ends to create smooth, controlled volume. 1. 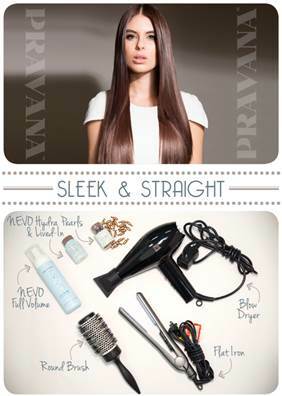 Begin with straight, dry hair. 2. Apply NEVO Detail Shine & Define Polish to palms. Have the client lean her head all the way back. Smooth and contain all the hair back to create a sleek, high ponytail. 3. Divide the ponytail in half. 4. Braid each half of the ponytail. 5. Melt NEVO Lived-In in palms to add texture and grit to the braids. With product in hand, pinch and separate each braid to loosen. 6. Pull the first braid forward, across the parietal ridge and front hairline. Pin to secure. 7. Pull the second braid forward, across the parietal ridge and just behind the first braid. Pin to secure. 8. Checking the balance, pin to secure. With a bristle brush, lightly brush loose pieces out around the front-side hairline using a bristle brush to deconstruct the crown of braids. 2. Apply NEVO Detail Shine & Define Polish to palms. Have your client lean their head all the way back. Smooth and contain all the hair back to create a sleek, high ponytail. 3. Section out a small piece of hair from the underside of the ponytail. Secure the remaining length of hair out of the way. 4. Separate the small section into two pieces. Apply a small amount of NEVO Detail to your fingertips. Twist each of the two pieces in the same direction, while wrapping them together in the opposite direction, working this way through to the ends of the hair. 5. Secure the ends of the two pieces together with an elastic band. 6. Release the remaining length of the ponytail and wrap the twisted piece around the base of the ponytail. Secure the twist at the base of the ponytail with a bobby pin. 1. Mist clean, damp hair with NEVO Invisible Control to add structure, build memory and protect against thermal styling in preparation for heated tools. 2. Blow-dry the hair starting from the nape and working up, smoothing and creating fullness and shape with a medium round brush. 3. As you dry, clip each section into a barrel curl. While you work on blow-drying the rest of the hair, the barrel curls will cool and set into shape. 4. Continue working up the hair in this fashion, round brushing and fastening hair into horizontal barrel curls. 5. Release the set and brush through carefully. Determine a side or natural parting. Section out the fringe and gather a horizontal section of hair below the parting. 6. Divide the section into two pieces. 7. Begin your fishtail braid by pulling a 1/2" piece from the outside of the right section and cross it over into the left section. Repeat with a piece from the left section, crossing it over to the right. Repeat this process through to the ends of the hair. 8. 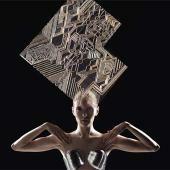 Sprinkle NEVO Lived-In on hair lightly and blend it into the root with fingers. This will add texture and work as a primer on the hair prior to styling. 9. Now that the fishtail is complete, begin back-combing horizontal sections in the fringe and working back across the top of the head, into the crown for volume throughout the rest of the hair. 10. Pull the back-combed sections back and twist the sides into the nape, pulling all of the hair back into a ponytail, leaving the fishtail out. 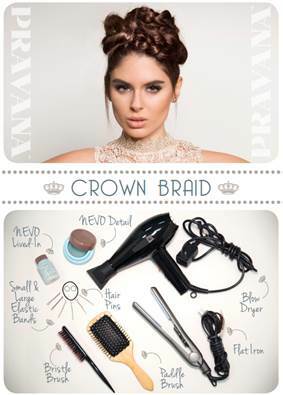 Secure the hair using an elastic band and two bobby pins. Secure one pin vertically into the top base of the pony. Wrap the elastic band around the ponytail until tight. Secure the remaining bobby by crossing it through the first. 11. 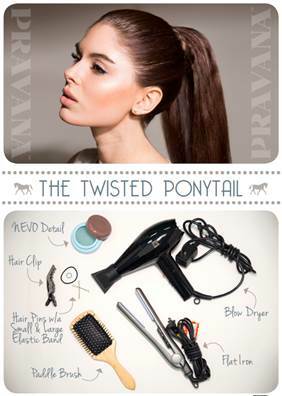 Pull the ponytail through a hair donut, setting the donut firmly against the base of the pony. 12. Secure the donut into place with a hair pin. 13. Separate the ponytail into smaller sections, and lightly back comb those sections using a teasing brush. 14. Wrap the sections around the donut, while lightly smoothing them. Secure bun into place with bobby pins beneath the base of the donut. 15. 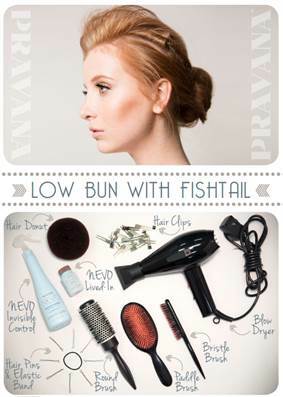 Pull the fishtail braid back and wrap around the bun, securing into place; spraying and finishing the look. 1. On damp hair, apply NEVO Full Volume focusing at the root and working through the lengths of the hair. Apply NEVO Hydra Pearls through the mid-length and ends. 2. Working from the nape up, blow-dry the hair smooth using a medium to large round brush. 3. Once hair is dry, apply NEVO Hydra Pearls to the mid-length and ends. Continue smoothing the hair with a flat iron, working from the bottom up. *Tip* For added shape and volume, flat iron hair in the opposite direction of where it falls, starting 1/2" from the root. 4. Melt NEVO Lived-In Powder Potion in hands and smooth any flyaways left for glass-like hair. 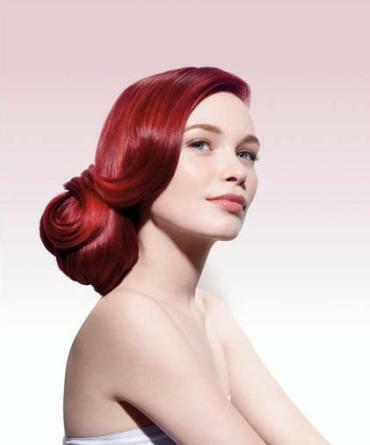 PRAVANA's NEVO Super Shape, Lived-In, Twist and Detail products provide topnotch results without using harsh chemicals. The NEVO collection expands to include these four innovative stylers: an environmentally-friendly hairspray, a transforming powder potion with breakthrough technology, a fiber paste, and a shine & define polish.